Before you roof your house on your own, you should get acquainted with all the steps in the roofing process and all the associated safety issues. If you are not ready to dedicate yourself to this task completely, it would be better to hire professionals from a roofing company. However, if you feel capable, you are nearly ready to get started. All you need to do is visit your local hardware store and buy or rent some roofing tools. If you are lucky, some items in your toolbox at home might also come in handy. Prior to roofing your house, you need to take all precautionary measures to secure your workplace. Here is where bracket-shaped roofing jacks will play a vital role. Place several jacks across the bottom of your roof, aligning them in a straight line by driving nails into designated holes. When the installation is over, place a lumber in the jack slots. Now you can confidently step on it and your instruments will be safe from falling on the ground. Hammer tacker is a hummer-type stapler, sometimes also referred to as a staple gun. It is used to insert staples in a quick, effective and most effortless way, into a desired surface. In roofing, a hammer tracker aids in stapling ice-and-water underlay, and roofing felt on top of the wooden sheathing. These layers secure your house from water leakage and increase fire resistance of the roof. 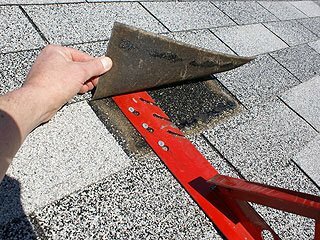 To ensure they are attached properly, make straight rows of staples, no more than 12 inches apart, by striking the roof with the head of the hammer. 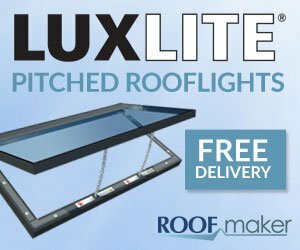 If you are not experienced in DIY flat roof repair, with this tool you can become not only the best roofer in your neighborhood, but also the most productive. Instead of using a regular roofing hatchet, you can speed up your work by utilizing a power nailer, also known as a nail gun. You will now be able to drive nails in tight places, precisely and with one hand, which will help you with a long and tiring shingle installation process. As you proceed with the roofing process, you will encounter the need for tin snips – a tool that helps you cut sheet metal. Accuracy matters, because the shape of the metal flashing you place in the roof valley and encase your chimney with, will affect the durability of your future roof. You can also use a pair of tin snips to cut gutters or drip edges. Chalk line is an indispensable tool when it comes to high-quality roofing. It consists of a string that is placed in the compartment, filled with chalk. Snap off the chalk line between the two opposite points of the roof, to get a straight line that will guide you through shingling. Now when the chalk print is visible, all you have to do is to follow it, and your shingles will be laid correctly along the lines. If you do not want to waste your time searching for replacements of broken blades, use a roof utility knife. This tool is specifically designed for shingle-cutting procedures, which are inevitable during the roofing process. You might also want to rent or buy a magnetic sweeper, or a roller magnet, to do the clean-up. After you are done roofing your house, not only should debris be collected from the surrounding area of your house, but you should also find and dispose of stray nails. Out of all the materials used, they pose the biggest danger for you and people around your house. A magnetic sweeper will eliminate this hazard by removing nails off the ground, even when you fail to notice them. 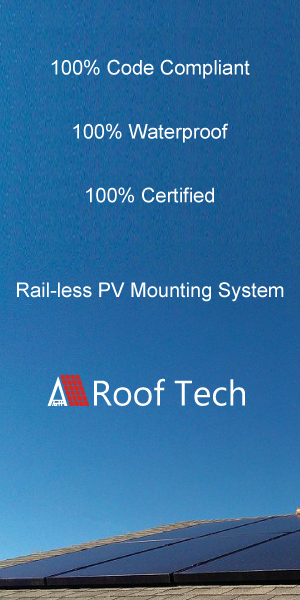 These tools will significantly aid you in roofing and ensure the best quality of your work, as if a roof service was provided to you by a third party. Do not forget to maintain your roof, by inspecting it at least once a year and looking for any damaged shingles or polluted gutters. This way, you will prolong the life of your roof and save your time and money in the future. What To Expect When Hiring A Handyman?